With organizations facing a multitude of threats - from the economy and financial risk to data security and insider fraud - that are increasing in number and severity, it's no suprise threat and risk mitigation a top priority for business. The best defense is a systematic approach to reducing exposure and minimizing negative impact. You must be diligent about managing the threats you are aware of as well as the threats you have yet to identify. 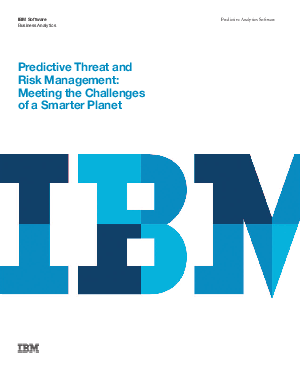 This paper from IBM describes how to build a proactive threat and risk strategy based on predictive analytics; examples of how organizations used predictive analytics to minimize the negative impact of risk and maximize positive results; and steps to advance your organization's use of predictive analytics to combat threat and risk.